Humiliation. Not good. My innermost beings were strewn across the tile floor of the airport lobby. The check-in agent had declared my bag overweight. With her czarina-type declaration, the purging commenced. I was hot and unhappy. The disastrous day is a distant memory, but I still find myself thinking a suitcase is a tool of the devil. The iconic symbol of travel threatens like nothing else to bring out the grrrr in me. 1. Pray. Take charge. Don’t overthink; be decisive. 2. Start two days ahead. 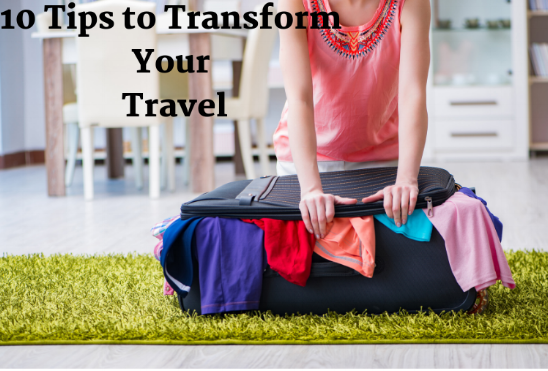 Place your suitcase in a separate room other than your bedroom. Do your laundry first. 3. Place hanging clothes on a door rack to view your choices. 4. Pack in daylight, not at night. Begin by counting out underwear. 5. Use Eagle Creek packing cubes for categories. 6. Think simple, think solids. 7. Minimize shoes. Always take a dress. 8. Remove at least 2 items. Be realistic, but not ruthless. You do need clothes and supplies where you are going. 9. Place a versatile windbreaker and a small empty duffle in the outside pocket of your suitcase. 10. Know your enemy. Weigh bags at home. Once the suitcase is zipped, and you are ready to go, you can pull up to the airport curb without a knot in your stomach. As the ticket agent smiles at you and says, “Place your bag here on the scale,” you can confidently look her in the eye, knowing that you made the cut. Victory! Bye-bye bag. Question: What is your best packing tip? Newer Post"You Do Not Want to Leave, Too, Do You?"